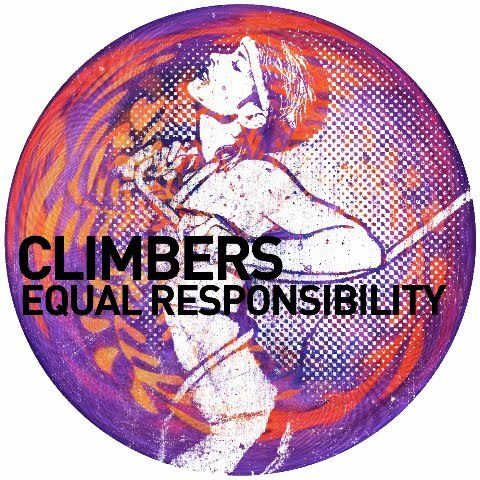 Climbers are Jay Blakk and Kiko Deal, and these guys know exactly what they are doing. This EP, 'Equal Responsibility' proves that. The title track carries a hugely effective 80's synth feel to it, but without the danger of being cheesy. A feel-good vocal line moves the soul as the bassline shakes your body. This is a summer track, perfect for every open air and festival to come. MAM (Miguel Campbell and Matt Hughes) remix 'Equal Responsibility' and adds emphasis on the bassline while upping the percussion to a club level. He takes it a couple shades darker and adds ingenious synthwork into the mix. The 80's feel is not gone though, just darkened. We love it, and we think you will too. 'Hypnotic Vision' is another synth heavy track, taking us on a journey through sound. This one is a bit more tricky, as it's not so straightforward in it's progression, in other words, not so predictable. That's exactly why we like it. But don't write this off as a B-side track just yet; when the beat drops you know what is up. The vibe is amazing. Well worth the wait and well worth another listen.